Want to enjoy a smooth ride ??? Drive a Bentley Brookland….. and feel the difference. 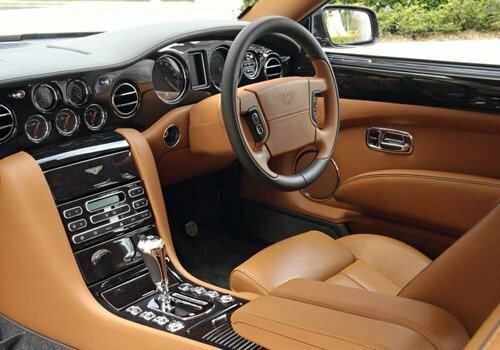 Bentley Brookland is manufactured keeping in mind the high income group. The car is a perfect blend of style, comfort and performance. Bentley Brookland is available in 5 beautiful colors – Diamond Black, Neptune, Silver Tempest, St. James Red and Umbrian Red. The exterior consists of Adjustable Headlights, Fog Lights, Power Adjustable Exterior Rear View Mirror, Rain Sensing Wiper, Rear Window Washer and Rear Window Defogger. The Alloy Wheels and Wheel Covers provide a sturdy look to the car. 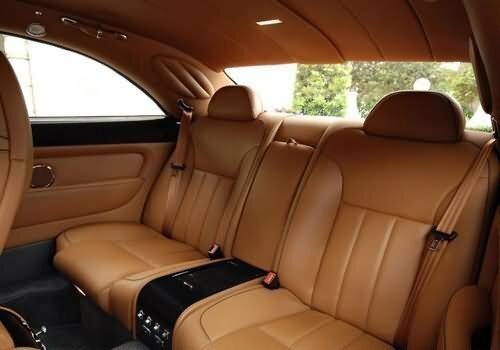 Bentley Brookland has various comfort features for the occupants. The car has Leather Seats, Multi-function Power Steering, Power Windows, Automatic Climate Control, Air Quality Control, Remote Trunk Opener, Remote Fuel Lid Opener, Low Fuel Warning Light, Accessory Power Outlet, Trunk Light and Vanity Mirror. Other comfort features include Rear Reading Lamp, Rear Seat Centre Arm Rest, Height Adjustable Front Seat Belts, Cup Holders, Seat Lumbar Support, Cruise Control and Parking Sensors. The car also has a powerful A.C., Tachometer, Electronic Multi-Tripmeter, Glove Compartment, Digital Clock, Outside Temperature Display, Cigarette Lighter, Digital Odometer and a Hi-tech Audio System. Bentley Brookland has advanced safety features. Standard safety features include Anti-Lock Braking System with Brake Assist, Central Locking, Power Door Locks, Child Safety Locks, Anti-Theft Alarm, Driver Airbag, Side Airbag-Front, Side Airbag- Rear, Day and Night Rear View Mirror, Passenger Side Rear View Mirror, Xenon Headlamps, Seat Belts, Seat Belt Warning and Door Ajar Warning. Other safety features include Side Impact Beams, Front Impact Beams, Adjustable Seats, Keyless Entry, Tyre Pressure Monitor, Vehicle Stability Control System, Engine Immobilizer, Crash Sensor and Engine Check Warning. Bentley Brookland consists of 6.8L, 530 bhp, twin-turbocharged V8, petrol engine. The engine produces a maximum power of 537 PS at 4000 rpm and a maximum torque of 107 kgm at 3250 rpm. It is linked to 6 speed Gearbox with Automatic Transmission. The price of Bentley Brookland is Rs. 3,80,00,000 . However, the price specified is indicative price only and reflects lowest approximate price which excludes tax, registration, insurance and cost of accessories.